See the impact of your support when we put in our peony garden and expanded landscaping in the Welcome Garden and elsewhere. Donations also will help fund our staff so we can keep all our plants and programs thriving year-round. The Nankai school team visits Chief Sealth for the first athletic exchange in the 10-year sister school relationship. Go girls! Be sure to mark your calendar for the fun and friendly rivalry. The Nankai team is one of the top girls high school teams in China. Mayor Mike McGinn shot hoops during the Seattle delegation to Chongqing last March and sparked the invitation to visit Seattle. Mayor McGinn will participate in the pregame program. Tickets are cash-only at the door, with proceeds supporting the CSIHS girl’s basketball program and the Seattle-Chongqing student exchange program. Doors and concessions open at 6 pm. $5 student. Children age 6 and younger, with an adult, are free. to request an 8.5 x 11 image of the Friendship Wall to be emailed to you for presentation to your honoree(s). Click the link for more information. 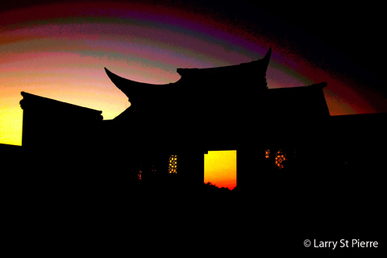 Does a friend or family member love gardens or admire Chinese cultural traditions? Garden membership would be a perfect gift, with benefits including the monthly e-newsletter, announcements of special events, and member discounts for programs and the gift shop. If you wish to present your gift with an 8.5 x 11 image of the Garden, please email the Garden and we will send the photo to you. 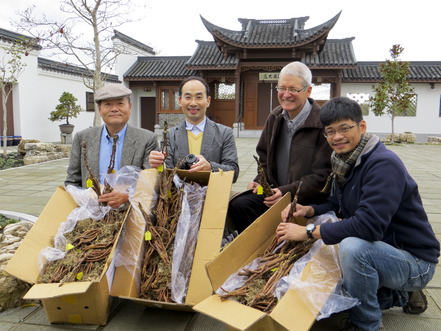 Skies were gray but smiles wide when a shipment of 232 tree peony rootstocks arrived at the Garden on November 17. They came all the way from Luoyang, China’s “peony capital” since the Tang Dynasty, where nurseries cultivate thousands of varieties and huge gardens draw millions of visitors to the annual peony festival each April. The rootstocks of 19 varieties, most tipped with promising buds, will be the genesis for our future peony garden and annual festival, which should delight peony lovers from around the region. Community friends who collaborated with Mr. Jiang on the project are Kirkland-based businessman Kirk Chia and Scott Heinlein, president-elect of the Seattle-Chongqing Sister City Association. In cooperation with Garden leaders they developed a plan for a Luoyang Peony Garden in Seattle, further facilitated by an exchange of letters between Mayor McGinn and the mayor of Luoyang. Photo, left to right: Kirk Chia of Edmonds; Jiang Jiqiao of Luoyang; Phil Wood, chair of the Garden’s Horticulture Committee; and committee member and horticulturist Riz Reyes. Photo: Kirk Chia and long-time Garden advocate Jan Drago fill grow bags with soil at the December 4 work party. Check the BLOG for more photos and stories. A dragon and two lions dancing to rousing drums and gongs led more than 125 guests to their tables to start off our festive benefit dinner on Saturday, November 10. Auctioneer Kip Toner kept the energy flowing through a brief live auction and raise the paddle. Generous friends boosted the Garden treasury by more than $53,000 for site enhancements and cultural and educational programs in 2013. Benjamin Lee, the gala’s honorary chair, earned our applause for his enthusiasm and support. 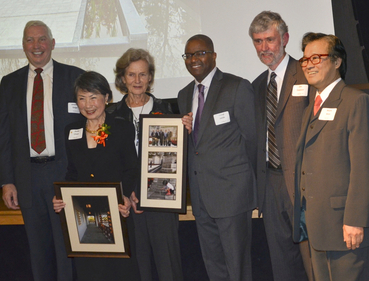 Deputy Mayor Darryl Smith and SCG vice president Jim Dawson presented awards to long-time benefactor Stella Chien and to Ilze Jones, principal at Jones & Jones Architecture and designer of the Seattle Garden for the Chongqing International Garden Expo. We extend special thanks to The Boeing Company, our lead corporate sponsor, and to patron sponsors — Hong Kong Association of Washington and the Furuta Lee Foundation. The Brockey Center earned kudos for the delightful venue and excellent food. The story and more photos are on the BLOG. Photo from left: SCG president Jon Geiger, Chien, Jones, Smith, Dawson, and emcee Mark Wen. As SCG treasurer, Mark was delighted to preside over such a successful event. We may be adjusting open days/hours, so please check the website for updates before you visit. Dragons encourage participation, and so does the Garden. We have many diverse volunteer opportunities in the weeks leading up to November 10 and on the day of the event. They include helping with promo and reservations, setting up décor, greeting guests, bid spotting during the live auction, selling raffle tickets, helping with AV, and much more. To volunteer, please contact Julia Freimund, for more information. Garden board and staff were thrilled to welcome Amy to the staff on October 1. 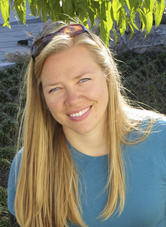 Amy recently earned her AA degree in landscape horticulture from South Seattle Community College, which involved an internship at the Garden from February through August. Amy transitioned from a career in the business sector to pursue her passion for plants and gardens. 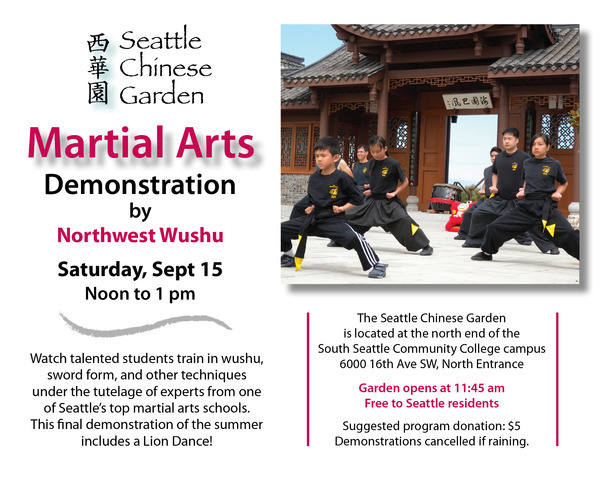 To the delight of parents and visitors, Sifu David Leong coached several youngsters at the September 15 demonstration by Northwest Kung Fu and Fitness. 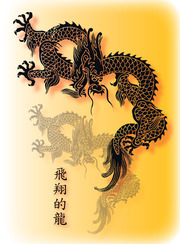 In legend, Chinese dragons symbolize strength, vitality, excellence, beneficence, and good fortune. Dragons soar among the clouds and bring rain to nurture the earth. 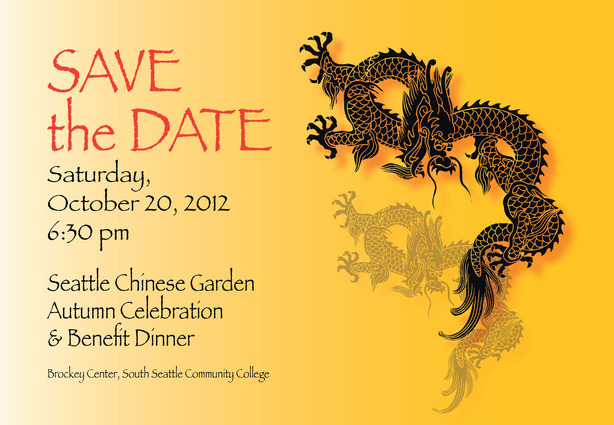 As the Year of the Water Dragon nears a close, share in this wonderful energy at the Soaring Dragon Celebration. Join with Garden friends for a festive evening of fine food, entertainment, and spirited bidding at a brief live auction. Shower a little beneficence on the Garden and luck could shine on you in the raffle. Take wing with the dragon and see the vision bloom. The Boeing Company. Let’s Fly! Link to Blog for more info. All Hail to the volunteers who bring their gloves, enthusiasm, and sometimes their own tools to the Garden on the third Sunday of the month. They weed, trim, weed, transplant, mulch, water, weed (the weeds must be overdosing on growth hormones in the dark of night) … and so keep the Garden looking fit for visitors. Others, like garden board member and “Mr. Fix It” Allan Chinn come more often to take on projects like repairing the broken pond pump at Pine and Plum Pavilion (the water qi flows again). “We love our volunteers!” says garden manager Amy Converse. “We couldn’t keep up with maintenance without them. We can always use more volunteers. Come on out.” See more volunteer photos and the evidence of their work on the blog. Next Garden Work Party: Sunday, October 21, 10 am to noon; drop in at any time. All ages and skills welcome. West Seattle Garden Tour has made several generous donations in recent years to fund plantings in the forecourt, on the hillside around the Friendship Wall, below the Waterside Pavilion, and along the pathway leading to Pine and Plum Pavilion. 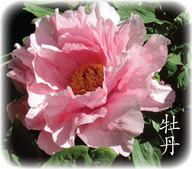 Its 2012 award of $5,000 will add ornamental plants native to China to the Welcome Garden along the entrance walkway. 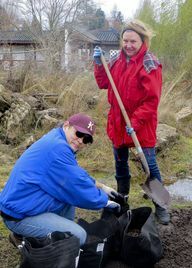 Hendrikus Organics, in Issaquah, has donated its Organobloom and HuMagic products to condition and enrich the soil in several areas of the Garden. Sawdust Supply, in Seattle, donated 30 cubic yards of compost, which have been used in the Welcome Garden, the beds in front of the Visitor Center, and other locations. “We greatly appreciate support from friends in the horticulture community. They are helping us become the garden of our dreams,” says Phil Wood, chair of the Horticulture Committee. Seattle Chinese Garden brings back the popular Chinese Corner. The six sessions begin October 15. Just like last year, we are filled to capacity with a waiting list. Check out the recap of our first corner on our Blog, or read more about it in the West Seattle Blog. More photos and stories on these topics coming soon on the blog. Please join us this coming Sunday, September 16th from 10-12 am, for our monthly garden work party! I encourage you to come when you can (and really that means anytime during the month when the garden is open! The volunteer in the Visitor Center has access to the tools, if needed.) We will be working on…..you guessed it, weeding, and possibly some more sheet mulching as well. All ages and skill levels welcome. Please let me know if you are able to make it, and as always, bring some water, gloves and your favorite tools. See you Sunday. 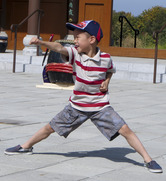 Learn basic Mandarin Chinese conversation and learn about Chinese culture in a fun, relaxed environment. With your new words, join easy all-ages games and activities such as painting, mah jong, and talking about food. Six sessions are on every other Monday from 4 to 6 pm on 10/15, 10/29, 11/12, 11/26, 12/3 and 12/17.